Art Spectrum Artists Gouache 22.5ml. See the Colour Chart here Art Spectrum Gouache is a resoluble, quick-drying, waterbased colour of excellent opacity with a consistent, velvety finish. Made in the classic tradition, all colours are carefully triple-milled to ensure maximum brilliance..
White Only - 150ml Art Spectrum Gouache is a resoluble, quick-drying, water based colour of excellent opacity and a consistent, velvety finish. As Art Spectrum Gouache is a concentrated colour, small amounts give exceptional coverage. Many effects and colour combinations are achievable using va..
Art Spectrum Citrus turpentine 100ml . Citrus Turpentine double distilled for artists’ use. This turpentine is made from orange zest and has an orange aroma. A pleasant smelling alternative to other turpentines. ..
Art Spectrum Citrus Turpentine. 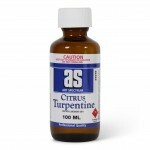 500ml. . Citrus Turpentine double distilled for artists’ use. This turpentine is made from orange zest and has an orange aroma. A pleasant smelling alternative to other turpentines. ..
Art Spectrum Citrus Turpentine. 1Lt. . Citrus Turpentine double distilled for artists’ use. This turpentine is made from orange zest and has an orange aroma. A pleasant smelling alternative to other turpentines. ..
Art Spectrum Citrus Turpentine. 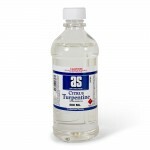 4L. . Citrus Turpentine double distilled for artists’ use. This turpentine is made from orange zest and has an orange aroma. A pleasant smelling alternative to other turpentines. 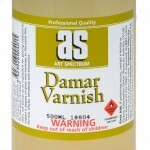 ..
Art Spectrum Damar Varnish 500ml Also available in 100ml and 1L sizesA traditional gloss final varnish for oil and alkyd paintings. 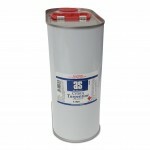 It is also used in making some painting mediums. Remove carefully with Gum Turpentine. Art Spectrum® Damar Resin also available. 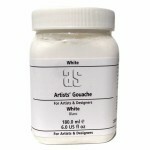 ..
Art Spectrum Economy Gesso Primer - 4LArt Spectrum® Studio Gesso(Low Cost) provides an economical alternative to Artists’ Acrylic Gesso because of its reduced pigment content. Fast drying, non-toxic and can be cleaned up with water. Suitable for canvas, wooden boards and interior masonry surfaces..
Art Spectrum Gloss Varnish (high gloss) 500ml (Paraloid) also available in 100ml and 1L sizesA high gloss, non-yellowing acrylic varnish. Remove carefully with a small amount of methylated spirits on a lint-free cloth. 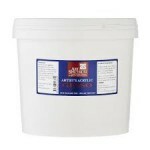 ..
Art Spectrum Painting Medium 4 (Liquol) 500ml very similar to LiquinA quick-drying, transparent, painting and glazing medium. Art Spectrum® Liquol is an alkyd medium, and is extremely popular because of its versatility and fast drying properties. 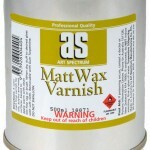 In most cases paint mixed with Art Spectrum® Liquo..
Art Spectrum Matt Wax Varnish 500ml also available in 250mlA satin matt varnish made from beeswax and natural resin. Can be rubbed and buffed to a sheen with a lint-free cloth. 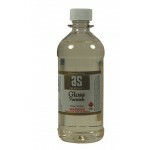 Use Art Spectrum® Gum Turpentine as solvent. ..
Art Spectrum Odourless Solvent 100mlOdourless Solvent is a low odour alternative to Art Spectrum Artists’ Turpentine for people sensitive to turpentine fumes. 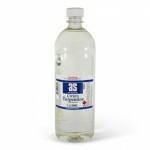 ..
Art Spectrum odourless solvent 500ml . 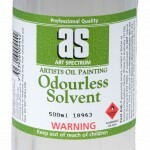 Odourless Solvent is a low odour alternative to Art Spectrum Artists’ Turpentine for people sensitive to turpentine fumes. 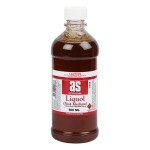 ..
Art Spectrum Odourless Solvent 1LtOdourless Solvent is a low odour alternative to Art Spectrum Artists’ Turpentine for people sensitive to turpentine fumes. 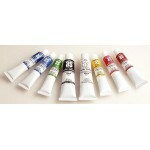 ..
Art Spectrum Oils 40ml. Series 1. See the full Colour Chart here Art Spectrum are Australia's most respected oil paints because they conform to the classic tradition. To make a permanent artists' paint, it is of the utmost importance to not only have lightfast pigments and pure linseed ..
Art Spectrum Oils 40ml. Series 2. See the full Colour Chart here Art Spectrum are Australia's most respected oil paints because they conform to the classic tradition. To make a permanent artists' paint, it is of the utmost importance to not only have lightfast pigments and pure linseed ..
Art Spectrum Oils 40ml. Series 3. See the full Colour Chart here Art Spectrum are Australia's most respected oil paints because they conform to the classic tradition. To make a permanent artists' paint, it is of the utmost importance to not only have lightfast pigments and pure linseed ..
Art Spectrum Oils 40ml. Series 4. See the full Colour Chart here Art Spectrum are Australia's most respected oil paints because they conform to the classic tradition. To make a permanent artists' paint, it is of the utmost importance to not only have lightfast pigments and pure linseed ..
Art Spectrum Oils 40ml. Series 5. See the full Colour Chart here Art Spectrum are Australia's most respected oil paints because they conform to the classic tradition. To make a permanent artists' paint, it is of the utmost importance to not only have lightfast pigments and pure linseed ..
Art Spectrum Oils 150ml. Series 1. See the full Colour Chart here Art Spectrum are Australia's most respected oil paints because they conform to the classic tradition. 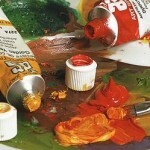 To make a permanent artists' paint, it is of the utmost importance to not only have lightfast pigments and pure linseed..